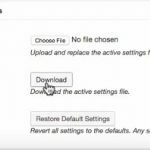 Plugin to move wordpress – Do we need it? Since I have moved some of my blogs from one server to another servers, I can safely say, moving a blog is not that complicated. But of course, there are some points that we should take care of, one of them is, you really have to be careful on what you are doing, and the moving process requires so much time, so it is best to do it, when you are alone to avoid distractions. What I mean by this, if you are a blogger and a mother like myself, having the kids around is not good idea while you are on the moving process, because it needs full concentration. In my previous entry, move to vps experience, I actually wrote that best while you are on the process is to test your new site in the new server in the site’s dns. This way, before you want to delete the old site, you can be 100% sure that your new site on the new webhost is working perfectly. We need to be sure because if the new site is not the exact same of your old site, it will affect the Search Engine Optimization thing, for example, Google bots might detect some different things in your site, and it is possible that your site will need time again to rank its ranking before. So definitely moving it correctly is every bloggers dream, but it needs time and concentration. Believe me, if there was a plugin to move wordpress site, I would try it for some of my small blogs. However for this blog which is also my main blog, I would prefer doing it manually. Everyone wants to have everything done easier, faster and without risks. Unfortunately, this will not happen with moving wordpress process. Every methods have their own risks, including when you want to move it yourself. When you want to move your blog yourself, surely you really have to ask yourself, “can I really do this?”. Because basically any sites which are working with some dynamic database is very sensitive, one line missing of your database, is enough to make your site not working anymore. To consider this situation, you won’t definitely put your hard work to a risky process. Otherwise, if you trust yourself, you will do it slowly, but you are sure, everything is working as you want. Some tips: I often practicing myself, moving one site from one server to another, and by practicing this, I can do the process myself. In my old entry, copying your online blog to your computer is one of the method to train myself on the blog moving process without using a plugin to move wordpress blog or website. When should I use a plugin to move wordpress site? It is actually simple question, if you are considering to move your site, and you don’t want to do it yourself, you can either hire someone or wordpress freelancer to do it all for you, or use a plugin to do this easily and quickly. The issue that can happen with hiring a person is that you probably will not 100% trust someone accessing your cPanel or server. And by using plugin, you can do it yourself automatically and you are sure, none else was in your cPanel. There is actually a plugin to move wordpress website or blog, and it is called Duplicator. 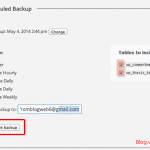 It is like automatically restore your blog with one single click of button. You can see how it does in above video, how I use the plugin to move wordpress site.